By Landon Agoado AP, DOM (AP1704 Florida) – Palm Beach Gardens Florida – Acupuncture is one facet of the broader spectrum of Traditional Chinese Medicine (TCM) practices. It has been in use for centuries now, and while there are variations in its approach, the underlying premise is the same; a focus on various energy points of the body. The practice has over time spread around the world and is now a mainstay in the western world. The basic theory in acupuncture is that the body has pathways called meridians through which energy (known as Qi) flows. While written history tracks acupuncture back to 2000 years ago, some experts argue that the practice has been around for at least 4000 years. Back then, the Chinese used sharp bits of stone to puncture parts of the body and drain unwanted fluids. Later developments led to the refined use of stone needles to carry out some rudimentary form of acupuncture, which is why the practice is thought to have taken off during the stone age. 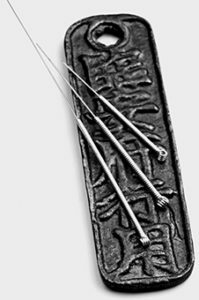 As the Chinese became more adept at carrying out acupuncture, they started using needles made from pottery as opposed to stone. Later, gold, bronze and silver were used. Eventually, metal became the main material from which needles would be hewn. There were classic nine needles, blunt needles, round needles and arrowhead varieties. Today, this form of treatment is heavily sophisticated as research opens up more avenues for the understanding of the connection between different prisms of the body and the core. 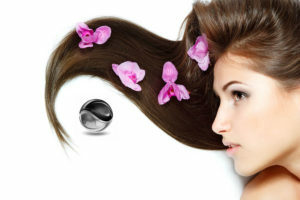 In modern times, the sterile, thin filiform needle is the most used accessory in the process. The west embraces acupuncture from a purely medical standpoint. Western practitioners believe that the practice releases natural painkillers (such as endorpins) into various areas of the body,relieving the patient of pain.They also see the approach as deeply connected to brain function,which allows a certain level of control for those undergoing the procedure. There is also a confirmed effect on the circulation of blood, where pathways in the body clear up as soon as the patient is treated, allowing for unobstructed movement of blood and tissue fluid through the circulatory system. A National Center for Health Statistics study carried out in the US in 2004 showed that 8.2 million residents had tried the approach that year alone.This is testimony to the popularity of the procedure in the country. Patients suffering from migraines have reported that they felt better after several sessions of treatment. Similarly, doctors say that for patients who take acupuncture with a small amount of electric current, the process triggers a reduction in the average intervals between occurrences of pain in the head area. The most lauded benefit of acupuncture is its therapeutic effect. Patients feel a sense of release as sensations go through their body. Following this release of pent-up emotions, your mind feels clear and your body does not feel as rigid as it was before. While reactions vary among individuals, there is a consensus that the sensation of release is complete and positive for your body as well as the state of mind. Doctors have suggested that acupuncture is a great reliever of all kinds of chronic and acute pain, from bones to muscles and joints. The reason is that the needles manage to release pressure on relevant trigger points, easing tension within tissues and allowing the circulation of blood in vessels that have constricted. Acupuncture is a remedy for myriad respiratory conditions like asthma, bronchitis, cold and sinusitis. It also helps to heal defects of the eye like conjunctivitis, cataracts and myopia. Other conditions acupuncture heals include tennis elbow, knee pain, osteoarthritis and sciatica. In our experience treating patients in Palm Beach Gardens, this list of conditions effectively treated with acupuncture and TCM is much more vast. 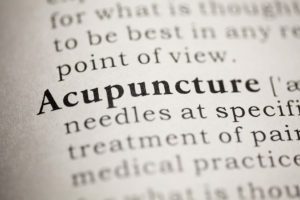 The National Center for Complementary and Integrative Health (NIH) has funded a handful of research projects with the objective of determining the effectiveness and safety of acupuncture. An overwhelming majority of said studies have determined that the process is largely safe as long as the supply of needles is regulated (as medical devices) by the Food and Drug Administration (FDA). Current NIH funded studies are looking into the levels of effectiveness of actual and simulated acupuncture approaches. A 2012 study published in the Archives of Internal Medicine and reported by the New York Times indicated that acupuncture is a strong pain reliever, beating other forms of care in terms of how quickly it handles inflammations and gets rid of pain. Dr. Andrew J. Vickers, who led the team of researchers, argues that the study conclusively determined that acupuncture is effective in chronic pain as caused by migraines, arthritis and other afflictions across the board. The same study was carried and reported widely by Harvard University’s official science blog. In 2000,a survey conducted by the British Medical Association revealed a widespread belief in the practice by professional doctors, with half of them prescribing the practice to patients. To date, over 4000 studies have been conducted, all with the aim of establishing the level of efficacy (or lack thereof ) of acupuncture. An overwhelming majority of these studies have indicated that the practice is effective and safe. Research suggests that acupuncture can help manage certain pain conditions as well as other health concerns. There have been extensive studies conducted on acupuncture, especially for back and neck pain, osteoarthritis, knee pain, and headache, and it is generally considered safe when performed by an experienced, well-trained practitioner using sterile needles. Click to learn about the licensed and skilled acupuncturists in this Palm Beach Gardens location.